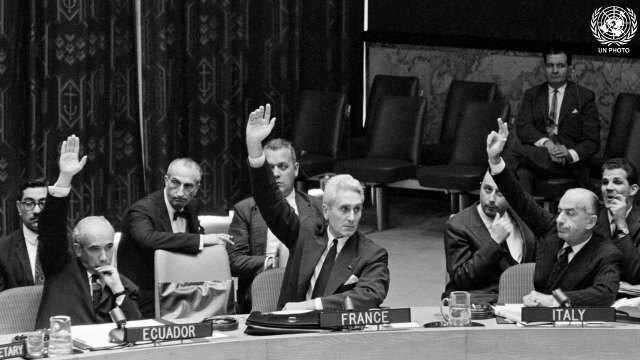 The Security Council discusses the admission of Malagasy at the 870th meeting. For further details please see SCRIPT below. 11. ms, Mr. Tsiang adjourns council. Pan as delegates leave. 1010 18.